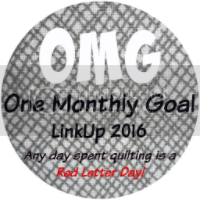 This month, I am so excited to be going to Paducah for the American Quilter’s Society Quilt Week. My Mom and I have gone at least six times before, but this is the first time that we both have quilts exhibited, and it will be my first time attending the awards ceremony and preview night. Since this is coming up in less than two weeks (how did that happen? ), I am selecting a project I have to have finished prior to leaving! 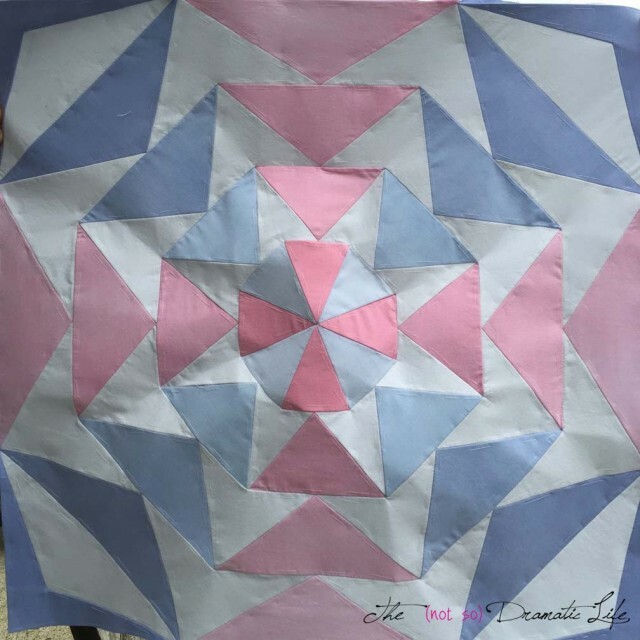 The Central Ohio Modern Quilt Guild has our presentation of our color challenge quilts this month. 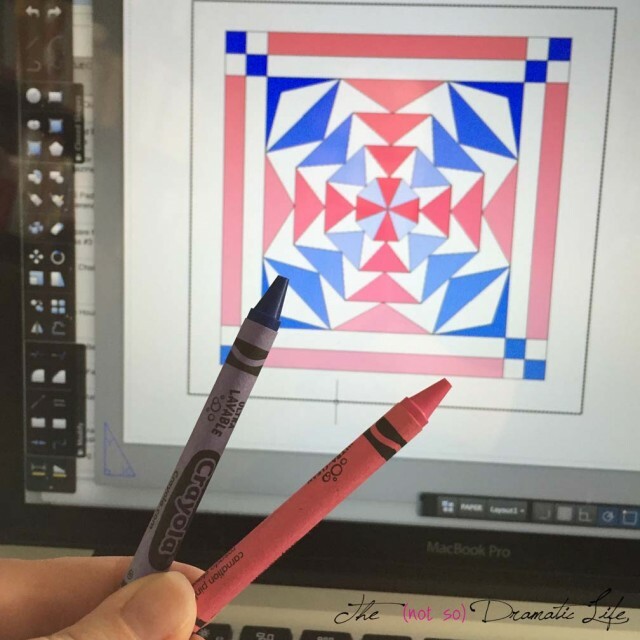 Each person drew two crayons from a bag and we had to make a quilted item using just those colors, tones/shades of that color, and one neutral. I drew Carnation Pink and Cornflower Blue. So far I have Drafted the pattern in AutoCad, dyed the fabrics in a gradient, and done the English Paper Piecing. In the next week I will need to add the borders then quilt and bind it. Its a good thing its small! I really like that you hand dyed the fabric; it seems like it adds so much to the project. And going to the awards ceremony and preview night?!? Have fun! I like this. What a neat idea!